Regular readers know that I love Eugenia Kim’s fun, chunky knit hats. 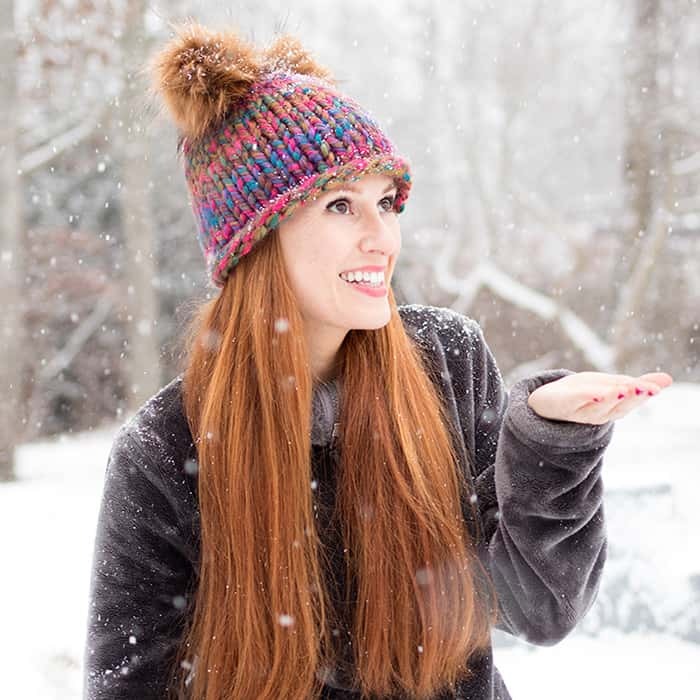 This hat is inspired by her Mimi Pom Pom Beanie. 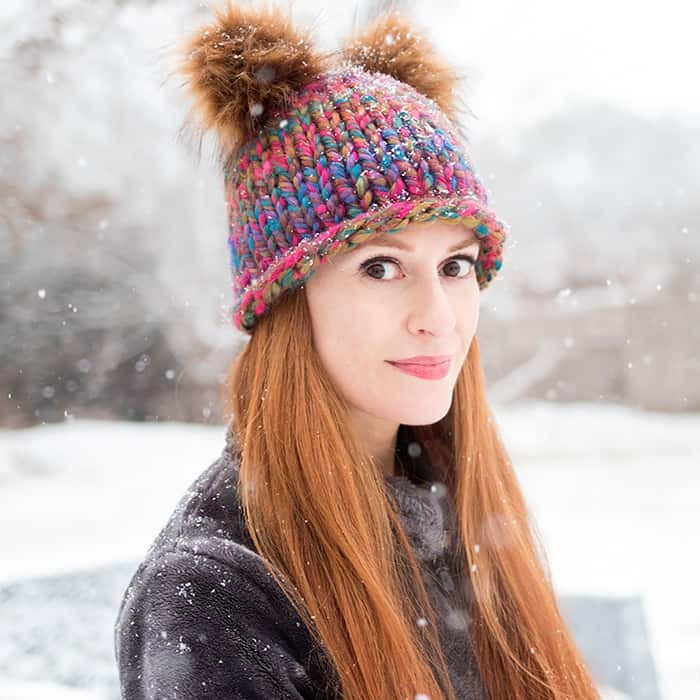 Not only is my Pom Beanie Knitting Pattern version hundreds of dollars less, it uses faux fur pom poms instead of fox fur! I was so excited to find these faux fur pom poms on Amazon! 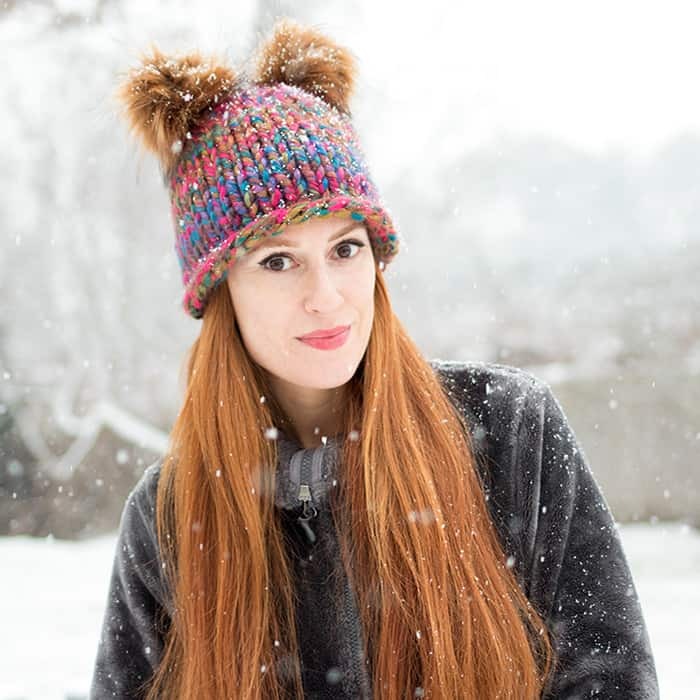 Some of the faux fur poms I’ve seen can look inexpensive, but not these! I was surprised at the quality and how pretty the colors were. Cast on 30 sts. Knit in the round until pieces measures 6 1/2 inches. Knit 1, Knit 2 together across round. Work until 5 sts remain. Break yarn, pull through remaining stitches and pull to tighten. Weave in ends. Attach pom poms. 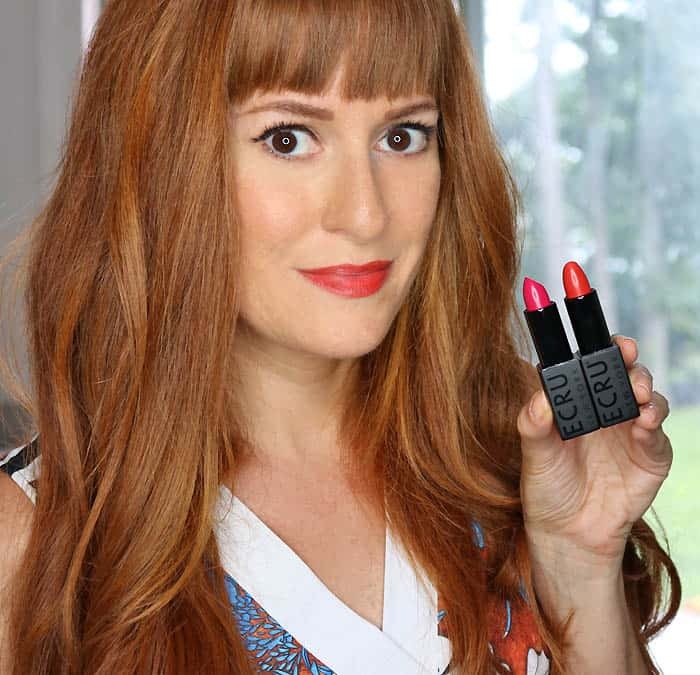 The Best of the Barneys Warehouse Sale- Plus My Purchases!